The Bright Start series of board books invites parents and caregivers to start open, honest conversations with children about emotions. The publishers hope these stories will help children to develop their emotional intelligence and to form healthy relationships with the people around them. 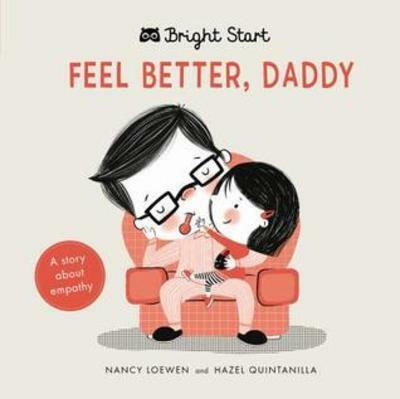 Feel Better Daddy is written by the prolific children's book author, Nancy Loewen and illustrated by Hazel Quintanilla. With cute drawings and simple text it tells the story of a little girl who notices her father has a cold and wants to help him feel better. She tries everything she can think of, such as bringing him soup, reading to him and snuggling up with him for a nap. Feel Better Daddy is a sweet little board book, suitable for reading aloud to toddlers and preschoolers. Do you spend more time deciding what to read next than actually reading?